The Musical Source is a small family-owned business, managed by musicians of all backgrounds and business professionals. Our story starts in 1993 in Washington, DC. Since 1998, we have established a publications division including works from Dr. Ysaye M. Barnwell, Dr. Deen E. Entsminger, and Marvin Mills. 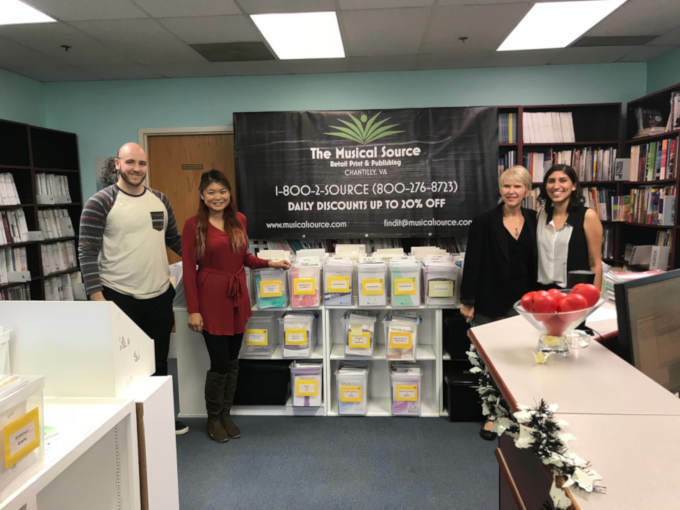 In 2017, The Musical Source moved to Virginia (Chantilly, VA near the Dulles Expo Center and Dulles Airport) with new owners since September 2016. We have sold all types of print sheet music from domestic and international publishers to clients throughout the world. Our clients include churches, schools, school systems, community organizations, retail music dealers, professional musicians and music students of every age. Musical Source offers competitive discounts daily. Please contact a staff member for specific information regarding your needs. We will gladly give a price quote on any order---an email or fax works best for this. We do have research capabilities on hard-to-find titles. Musical Source is affiliated with a number of professional music organizations, including ACDA, AGO, AAM, MENC, NATS, RPMDA and NAMM. Throughout the year, MSL attends a number of national and regional conferences and workshops providing reading session packets, music displays and educational and/or programming assistance in a variety of areas.